For pattern 15, I chose to make a bag from the book "Sew What You Love", the same book I have used for the last three patterns. The book has five bag patterns to choose from, and I chose the "Big Easy Sling Bag" because it looked like a good sized bag I could use for lots of things. I like a bag that will easily stay on my shoulder and is large enough to have many functions like carrying my exercise clothes to and from school and my latest sewing projects back and forth to Five Eighth Seams. I absolutely love bags and have made lots of them with many of my favorites coming from Amy Butler's book "Style Stitches". The only thing about the bag patterns from "Style Stitches" is that they always take a great deal of effort to sew because they require lots of time to cut out fabric and interfacing (that Amy Butler suggests using) and there are many steps required for assembling the bag. The finished products look amazing and your Amy Butler bag will be built to last, but occasionally, I just want to sew a fun bag quickly and easily. "The Big Easy Sling Bag" was just that by requiring only two pattern pieces! It only took two yards of fabric as well, one for the exterior and one for the interior making this pattern very affordable. I chose these two fabrics, the bicycles chosen for the exterior with the chevrons making up the interior. 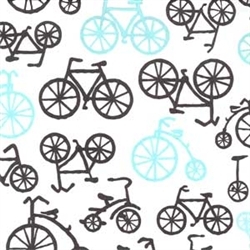 I have wanted to use the bicycle fabric for some time but was scared of the predominantly white background to use for a bag that would most likely get dirty but since only one yard was used, I decided I wouldn't be wasting much money if I got something on it. I also bought Scotchgard used for spraying furniture and fabric that helps the fabric repel stains that I hope will give my bag extra protection. The pattern doesn't suggest interfacing but Amy Butler bags have taught me how much better interfaced bags look so I bought some to use just as she would. I used Pellon SF101 which gives it a little more weight without being too heavy or sturdy and ironed it on the two exterior bag pieces. The bag pattern also only has instructions for placing a pocket on the inner bag but I decided to make one for the exterior as well. I chose this fabric for the pocket. The bag was very simple to sew, the directions easy to follow, and I love the finished product. The straps tie at the top making it one of the easiest bags I've ever made. It stays put on my shoulder and has lots of room for carrying things. I love riding my cruiser bike (pictured above) when I want to run errands like going to the grocery store, my favorite consignment store ("Reinvented"), TCBY yogurt, and the Charleston Farmer's Market. My best friend Krista and I often ride our bikes together, and we agree that riding around the streets of Charleston on these bikes makes us feel like we are 12 years old again! My new bike bag is going to be perfect for me to bike with, and I loved sewing this project as much as all the others from this book. This book has consistenly impressed me with how simple the projects are to make and with how nicely they turn out with such little effort. 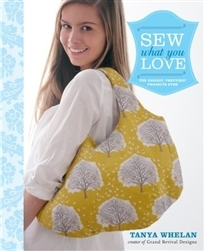 From a shirt to a dress, ottoman, and bag, "Sew What You Love" delivers projects that you will love sewing and using. I am not using this book for Pattern 16, but as soon as Pattern 20 is finished, I'm getting my book back out for some more enjoyable sewing! Pattern 13: The Go To Dress from the book "Sew What You Love"
Another easy knit project is finished thanks to the patterns in the book "Sew What You Love", the same book the "Everyday Tunic" shirt came from. The "Go-To Dress" is a basic knit dress accented with either a knit belt that cinches the waist or a shirred waistband you make with elastic thread. I chose to make a knit belt, the easiest option, and I thought it was another good opportunity to use the color blocking trend. The dress has a V-neck as you can see, but I am wearing a tank top underneath. The book gives directions for changing the neckline to be as deep as you prefer. The dress is made from only 4 pattern pieces making this very simple like the "Everyday Tunic". The directions were also easy to follow, and in an hour, I had a comfortable knit dress to wear! If the belt isn't used or the waist isn't shirred, the dress is very roomy in the waist area making this a great option for a maternity dress if you are pregnant and looking for a cute dress to make. This could also be a good pattern for a beach tunic. I am so impressed with the first two patterns I've made from this book, and I am going to sew a few other projects from the book (not in the clothing category) to see if the other things are as fun to sew as these projects were. These projects took such a small amount of time and turned out very well which has really re-energized my love of sewing. With all the sewing I've been doing this summer for the blog, sewing has sometimes felt more like a job than a hobby I love until this book came along. For pattern 14, I am going to make the "Apple Pie Ottoman" found in this book, and I am very excited to sew something other than clothes! For my next 2 patterns, I've decided to use one of our brand new books that just arrived! One of my favorites is "Sew What You Love: The Easiest, Prettiest Projects Ever". This book contains around 30 projects with the patterns for each project folded nicely in an envelope in the back of the book! What I like most about this book is the large variety of projects. 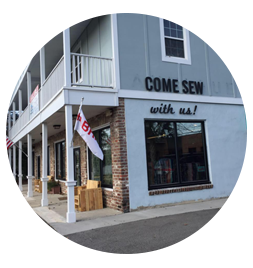 These include bags, home projects (like an adorable ottoman), children's projects, children's clothes, and a "personal style" section for women's apparel. I decided to review an adult pattern in the "personal style" section and had to choose from a pleated skirt, strapless dress, gathered skirt, peasant blouse, knit dress, or the knit tunic. I chose the knit tunic because so many people come into our store and pick out a gorgeous knit they are dying to use, but they are too scared to tackle most patterns that require sewing on knits. This knit "Everyday Tunic" has only 2 pattern pieces to cut out and only basic straight line stitches making it the perfect beginner knit project. It takes less than one hour to cut out and sew the entire knit tunic and look how great it looks! I am really excited about this pattern, and I can't wait to make many more! I am very impressed with how simple it is, but it still doesn't look like a homemade shirt. The author, Tanya Whelan, has done an exceptional job putting great, modern projects into one book with each project being very easy to sew. This entire book is perfect for the beginner sewer, a rarity among sewing books. Many other books contain projects for all skill levels (beginner to advanced or even daredevil), but the new sewer usually finds he/she is capable of sewing only a couple of the projects contained in the book because all of the other ones are out of his/her skill range. I am going to get a lot of use out of this book even though some of the projects like the "Sweet Baby Duvet", the "Ruffle-Mania Skirt", "Lila Shirred Blouse", "Tiered Skirt", and "Soft Baby Block" are only just for children (which I don't have), but I can use these for gifts for all of my friends' children. I have flipped through the book looking at all the other great patterns I am going to sew, my next one being the "Go-To Dress" which will be Pattern 13. I can't wait to let you know how it turns out! Several days have passed since announcing the Amy Butler Barcelona Skirt as my choice for Pattern 11, but the delay in revealing the finished product wasn't because the skirt was difficult to make. It took me a little longer because I decided to make two of the three versions the Barcelona Skirt pattern offers! The first version is the same skirt on the front of the pattern, the tiered skirt. The only thing I changed was the length of the skirt making it three tiers instead of four. The edges of the tiers are left raw and as you wash the skirt, the ends will fray which gives this skirt a relaxed look. 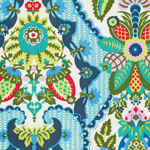 I absolutely adore all of the colors in this new Amy Butler fabric "Cameo"! I also prefer this length to the mid-calf length pictured on the front of the pattern. Because I am short (5'4), the three tiers turned out to make a perfect knee length skirt, but if you are taller, you may find three tiers isn't long enough for you. You would need to cut out each pattern piece of the first three tiers about 2 inches longer (depending on your height) to avoid using the fourth tier and having a skirt that may be too short for you. The other version of the Barcelona Skirt is a simple A-line skirt. Both versions of the skirt are fully lined so I decided to make the simple A-line version to use with the green eyelet fabric I have been saving for a couple of weeks. I chose navy blue for the lining which you can see through the eyelet but that doesn't seem to show up well in the picture. We have 2 beautiful white eyelet fabrics in our store that would also look great with a brightly colored lining for those of you who would like to make a skirt similar to this one. The A-line skirt is easier to sew than the tiered skirt just because the cutting out of this pattern is so fast, but both skirts are very simple to sew. I would categorize this for the advanced beginner just because an invisible zipper must be installed. Everything else requires only basic straight line stitching! The directions are very straightforward to follow with good pictures. I did not follow the directions for attaching the lining to the zipper, however, because the directions have you slip stitch the lining to the zipper by hand. I know I shouldn't admit this since many of you are probably excellent sewers that follow all the sewing rules, but as soon as a pattern calls for something to be sewn by hand, I start thinking of another way to get the job done. I hate sewing anything by hand because of my impatience and honestly, I'm not very good at it. I sewed the lining directly to the zipper with my zipper foot, and it worked out fine and looks great. If you aren't sure how to do this, I'd be glad to show you. You could do all the steps of the skirt up to the steps where you put in the lining, and then come by the store for me to walk you through it. If you usually have trouble finding your correct size based on pattern measurements (waist much smaller than the hip measurement for example), this is the perfect skirt for you because it is easy to alter based on your specific measurements. Amy Butler explains how to do this in the pattern, and you simply use your measurements to alter the paper pattern before cutting out your fabric. The Barcelonia Skirt is a wonderful pattern that I would recommend to all! Since you can't have too many skirts, I've chosen another skirt pattern to review for Pattern 11....The Amy Butler Barcelona Skirt. I don't have any skirts with layers so I thought I'd give this a try. I am concerned with the mid-calf length of the skirt because that length can sometimes make me look shorter so I may make this skirt with only 3 layers instead of 4 as long as the completed skirt will still be long enough for me to wear to school (knee length). The new Amy Butler fabric Cameo just arrived, so I couldn't resist using it for her Barcelona Skirt. I love all of the great colors in this fabric, and I'm hoping it will work well with this pattern. After my Sewing 101 class on Tuesday night, I came home for dinner but then convinced my husband to go back to the store (at 10:30 pm!) so I could pick out my next pattern and fabric to begin pattern 10. I cut the fabric out that evening as well and sewed the entire dress yesterday in about 2 hours. I usually announce what I am going to sew on this blog and then give myself 2 days to complete the pattern, but I really got motivated this time! Although it’s only mid-July, I can’t help but feel the days of summer quickly pass with school looming in my very near future. It doesn’t help that most of the stores have put all of their fun outdoor things on sale in a dark space in the back corner of their building to make room for the massive section of school supplies. Standing in Target last week, I cried out in despair, “It’s too early for school supplies!” just to have some lady nearby validate my fears with, “The start of school is just around the corner.” So, with that in mind, I have been choosing patterns that will result in a few great outfits I’ll be able to wear to school. 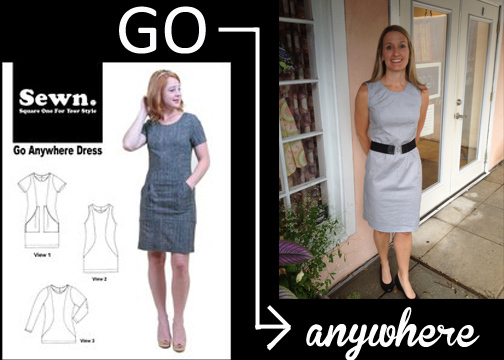 That is why I chose pattern 10, the “Go Anywhere Dress”. It is a classic, basic dress with sleeveless to long sleeve versions to choose from. You can also put pockets on the front or make the dress a shirt instead. It has fitted side panels which gives a flattering silhouette. 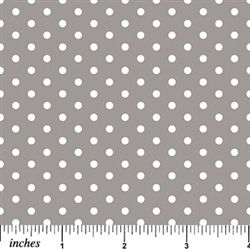 I chose a gray fabric printed with a darker gray hounds tooth pattern because I want to wear this dress at the beginning of the school year when it is still hot, but I can also wear this dress in the Fall and Winter with a black cardigan and tights. I love the fit of this dress, but I added the black belt to give it a little more interest. I felt a little boring in the all gray dress. I would really like to find a yellow or pink belt to spice it up even more! I didn’t put pockets on the front of the dress for fear of making my hips look wider. As far as the ease of use regarding the pattern, I have few complaints. The pattern is printed on standard size paper with page numbers which made it really easy to find your place and keep the directions in order, although I strongly recommend you staple all the pages together before you begin to keep the pattern pages in order. The actual pattern pieces have very dark ink lines that made it very easy to cut out. Many patterns I have used recently have some pieces printed so lightly that I can’t follow the size line to accurately cut out the paper pattern pieces. Another great feature about this pattern is the way they have clearly presented the amount of fabric you will need for every possible option. If you decide to buy this pattern, make sure you take the sheets out of the sleeve before buying fabric. The back of the pattern lists very general fabric requirements (like most patterns) based on your size, but if you pull out the pattern sheets, you will see the exact fabric requirements for the dress with long sleeves, dress with short sleeves, dress with sleeveless, tunic style dress, etc. The fabric requirements for my sleeveless dress (in size small) were accurate to the inch! This is a huge convenience when you are trying to save money and not buy extra fabric. The pattern also has very detailed directions with great pictures. It would be a great dress for the advanced beginner to complete. One thing I did find frustrating was the details regarding interfacing. The pattern explains to follow the layout for using pattern pieces to cut out interfacing, but I did not see any pictures regarding interfacing. I knew the pieces that needed to be interfaced but how to place these pattern pieces on the interfacing was not there. Being an experienced pattern sewer, I didn’t need those instructions, but other beginner sewers may have needed that. Besides that one thing, I loved this pattern and would strongly recommend it to you. There are many options for giving this dress several different looks. The dress I made looks more business professional but you could make it more fun by choosing to color block the dress. I would choose a blue or black for the center and back of the dress but the great curved side panels could be yellow, orange or another fun color. It would make the dress look stylish and modern. The pattern also recommends using knit fabrics as well as cotton so you could use this single pattern to make several dresses all with very different looks. I am halfway done with my patterns. I hope I can finish my goal before school starts. In the meantime, I’m staying out of stores that are selling school supplies. Those places are starting to give me panic attacks! July 4th week has been so busy for me! Everyone at the store has been off this week except for Brooke and me so I've had to work a lot of hours at the store in addition to teaching my classes. I didn't want to get behind on my twenty patterns, but it seems this week has flown by with me not even getting to start my next pattern, so I have to get sewing today! 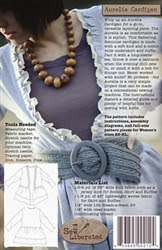 I have chosen the Aurelia Cardigan by Sew Liberated for Pattern 9. I have been looking for a good cardigan pattern to use, but I haven't been very happy with the look or fit of other cardigans I have made, so I am hoping this will turn out to be really cute. This pattern requires a knit and a cotton woven to be used but that seems a little strange to me to combine these two different fabrics, so I'm really curious to see how it will turn out. I chose a gray bamboo knit that feels amazing with a very lightweight cotton in yellow. I am also hoping the cardigan will be fairly easy to make since I've lost a little time sewing this week. I have some catching up to do, so I'm going to get sewing right now! The Cambie Dress is completed, and I am happy with the finished product. This was a large project for me to tackle since I was out of town until Sunday evening. As soon as I arrived home last night, I cut out the fabric, the lining, and then the interfacing. That took almost an hour. Then, I started sewing. After working on it for a couple of hours, I had to stop because I was getting so tired (and couldn't quit watching the Olympic Trials for gymnastics). First thing this morning, I jumped right back to working. Two and a half hours later, I was finished! The dress isn't difficult to sew, but there are a lot of time consuming parts to this garment. First of all, you have to cut out pattern pieces for the fabric and the lining which means alot of cutting out. Then, you have to sew the main dress (the outer fabric) and then basically make an entirely new dress out of lining so you are sewing two dresses essentially. The bodice front and back has darts along with the skirt front and back so you spend a decent amount of time putting in all the darts in the outer fabric and then the lining. When the bodice is sewed to the waistband and the waistband to the skirt, you have to make sure the bodice darts line up with the skirt darts, a detail I didn't really pay attention to until after I put all the pieces together. All of my darts luckily lined up except for one which I had to take out and redo. The pattern lists the difficulty of this project as intermediate, but because you have to line the entire dress with an invisible zipper, put in multiple darts that must line up, and create pockets, the difficulty may be more for the advanced intermediate depending on your experience. If you have made lots of garments before or have sewn lined dresses, this may be no problem for you. I have sewn many dresses but none that were completely lined because I usually go for projects I can complete fairly quickly for instant gratification! But, I must say this is one of the nicest dresses I've ever made, and it looks professionally sewn with the lining. I found the directions very clear and easy to follow, and the illustrations were helpful. The finished fit is very flattering, and I love having a dress with pockets. I am very pleased with the 100% cotton poplin I chose to use because it was great to work with, and it was a great price. At only $8 a yard for fabric, the entire dress was $30 including fabric, lining, and interfacing. It would be difficult to buy a fully lined dress for that price! If you need a charming dress this summer, this one is definitely worth the time it takes to complete.